Sure, optimistic studies have already suggested that chocolate has health benefits, like reduced risk of heart disease or lower blood pressure. But typically, the amount of chocolate you have to eat to get those benefits completely negates them with lots of sugar and fats. But new research suggests that simply altering the standard way in which we produce chocolate could increase the beneficial compounds in one of the world’s favorite sweets. To understand why, we have to go to the beginning of a candy bar’s life cycle. Chocolate begins as pods on a cacao tree. These pods are split open to remove the beans inside. Producers then ferment the beans, drying them in the sun. From there, roasters take over, roasting the beans to bring out their flavor. However, roasting also removes polyphenols, the chemicals that give chocolate its health benefits. Some scientists (who were probably looking for a reason to eat more chocolate) set out to find a way to reduce the loss of these awesome antioxidants. Afoakwa’s team tried storing the pods in different increments: 10 days, seven days, three days or not at all. What they found is that pods that sat for seven days yielded the highest antioxidant levels. Additionally, they discovered that lower, slower roasting temperatures also helped the beans maintain higher levels of these beneficial molecules. But here’s the kicker: Not only is chocolate processed in this manner healthier, it’s also apparently tastes better. According to Afoakwa, the new process “aided the fermentation processes and enhanced antioxidant capacity of the beans, as well as the flavor." 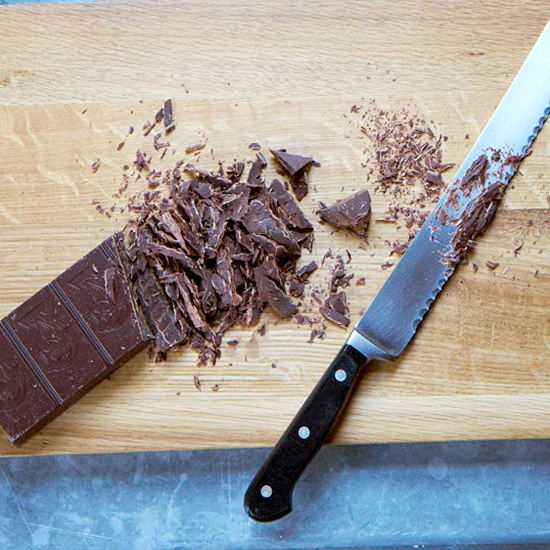 Healthier, fuller-flavored chocolate—sounds amazing. But will it be ready in time for Easter?